In the 1970s a couple of artists vacationing in South Beach hatched a crazy plan, a plan that would eventually become one of the most significant art installations of all time—and the basis for the Miami art scene as we know it today. The 35th anniversary of Christo and Jeanne-Claude’s “Surrounded Islands” will be commemorated with a special exhibition at PAMM. The contemporary era of Miami, a ballyhooed stomping ground for art, design and jet-set high jinks, began with the two-week-long global media sensation that was 1983’s “Surrounded Islands,” the Art Basel of its day. 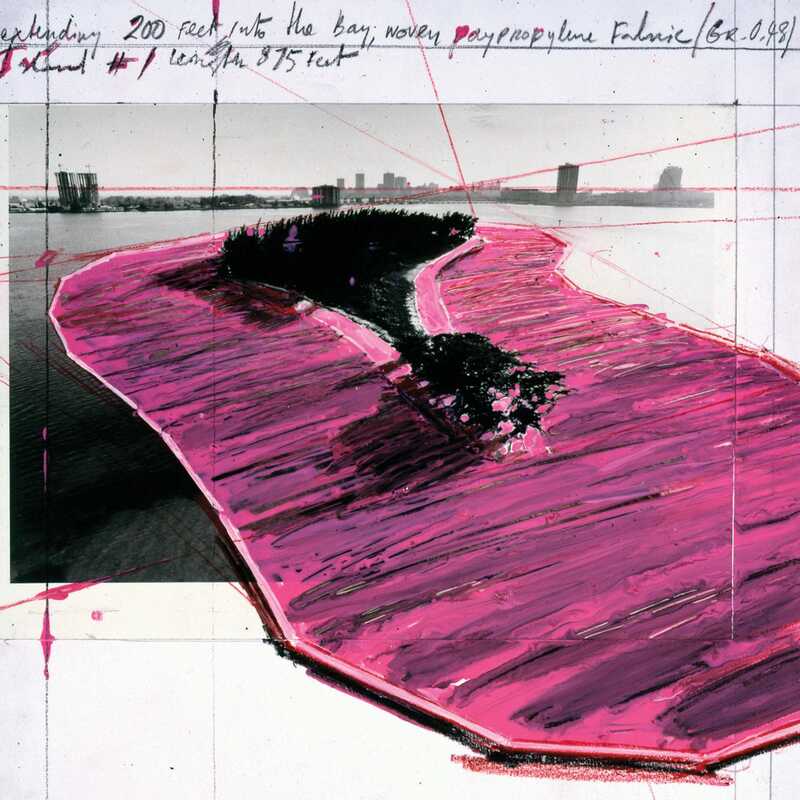 After three years of work, Christo and his late wife Jeanne-Claude unveiled “Surrounded Islands”—a 7-mile-long string of enormous pink water lilies in Biscayne Bay, spanning the Venetian Causeway to Broad Causeway—on May 7, 1983. 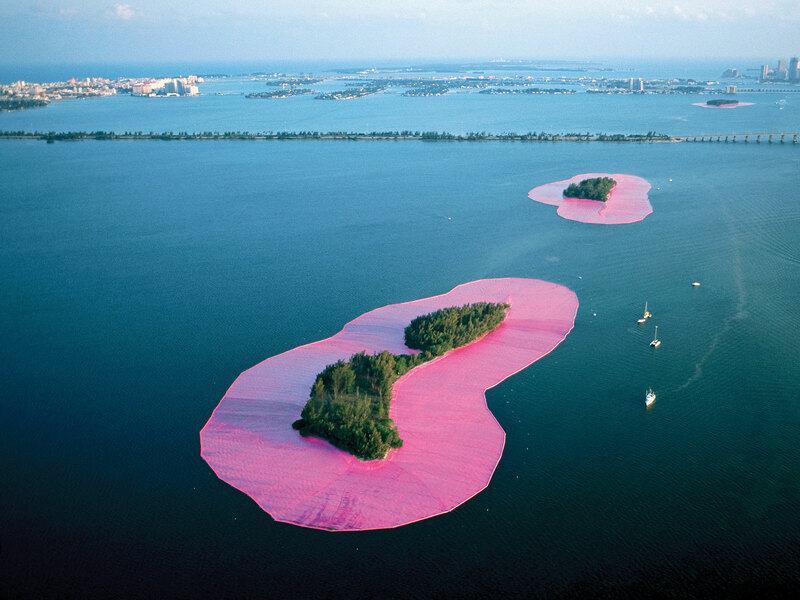 The project incorporated 11 islands surrounded by 6.5 million square feet of floating pink polypropylene fabric; each island had 200 feet of fabric jutting out into the water. It was a nervy and profoundly ambitious installation, an only-in-Miami phenomenon that changed the city forever. Christo will be attending his opening at PAMM and making his first visit to Art Basel this December. On both visits, he’ll be giving talks about “Surrounded Islands” on the museum’s terrace overlooking Biscayne Bay, the same waters that once served as his muse. On the phone from his New York studio, Christo contemplated his most painterly, enduring and aptly enough—this being Miami—famous effort. Since the early 1980s, the Surrounded Islands exhibition has traveled to museums in such countries as Japan, Belgium, Switzerland and France; finally, the show comes to rest in Miami, where it all began. Christo doesn’t accept grants or public funding and pays for his projects by selling preparatory drawings and collages, but the approval process for permits—involving the U.S. Army Corps of Engineers and the Miami-Dade County Commission—was still consuming. For Christo, bureaucratic struggles are just another part of the “energy” involved in his projects. The endless meetings were often filmed by the Maysles brothers (known for Grey Gardens with Edie Beale) for the documentary Islands, which will be screened during the PAMM exhibition. A sketch for “Surrounded Islands” (1983, pencil). 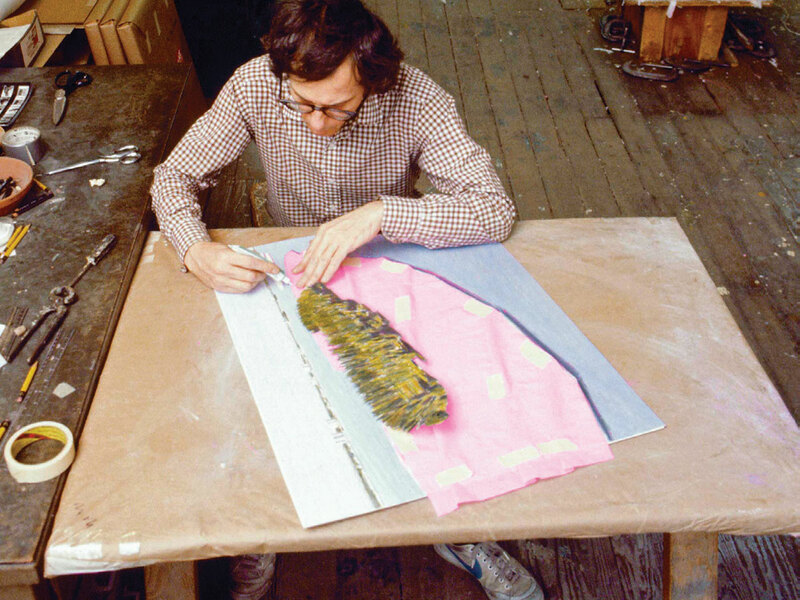 Christo, whose other projects include wrapping Berlin’s Reichstag and a daunting 24-mile-long fabric fence in California, had his share of technical challenges in Miami. “To make fabric that would stay pink under the hot sun was difficult,” he recalls. “At the downtown Miami-Dade Public Library, which has some of the archival materials from ‘Surrounded Islands’ in its Vasari Project collection, we’d test different fabrics on the roof in buckets of seawater; the pink fabric would often bleach white from the sun in a day or two.